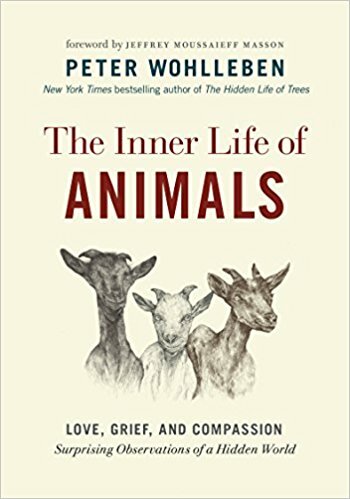 Summary (from the inside flap of the book): Through vivid stories of devoted pigs, two-timing magpies, and scheming roosters, the Inner Life of Animals, weaves Peter Wohlleben's wealth of personal experience observing nature in forests and fields with the latest scientific research into how animals interact with the world. Peter Wohlleben follows the hugely successful The Hidden Life of Trees with insightful stories into the emotions, thoughts, and intelligence of animals around us. Animals are different from us in amazing ways---and they are also much closer to us than we ever would have thought. 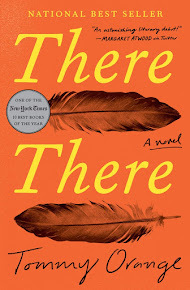 Review: I am always saying things like, "I wonder what Charlie thinks when we're all out of the house" or "I wonder how Charlie feels when...." Charlie is my twelve-year-old poodle that we rescued over nine years ago and I can't imagine life without him. But, my daughter and dad are quick to say that Charlie doesn't really think about much at all beyond eating, pooping, walking, and sleeping. Immediate needs. So imagine my surprise when "Santa" gave me this book in my stocking this Christmas! My daughter's comment was, "You're always wondering what Charlie says or feels so I knew you'd like this book." In theory she was right. In practice, the actual reading of the book, not quite as much. I can tell that Peter Wohlleben loves animals and nature. His profession as a manager of a nature preserve in Germany allows him all day and night to observe animals both in the woods he manages and on his property. He has pigs, rabbits, goats, dogs, and horses at home and all sorts of wild animals in the preserve and woods. I am sure that he sees behavior that seems like grief, shame, love, and planning, but he hasn't really proven it in this book. If you are someone who loves nature and animals you will probably really enjoy this book, but don't go into it the way I did, expecting proof of what Wohlleben believes is true. He does have scientific studies that he quotes, but his stories feel like just that: interesting stories and observations rather than back up for his ideas. Don't get me wrong, I did enjoy reading the stories about animals, as any animal lover will. But I do feel his "evidence" is thin for what he is trying to prove.